Brewery’s Description: Grand Cru is a speciality beer carefully crafted by Belgium’s St Feuillien Brewery. This extra-blond amber nectar masterpiece undergoes refermentation in the bottle, resulting in a beer endowed with unforgettable character. The secret lies in the unique combination of the most noble hops and the finest aromatic ingredients. 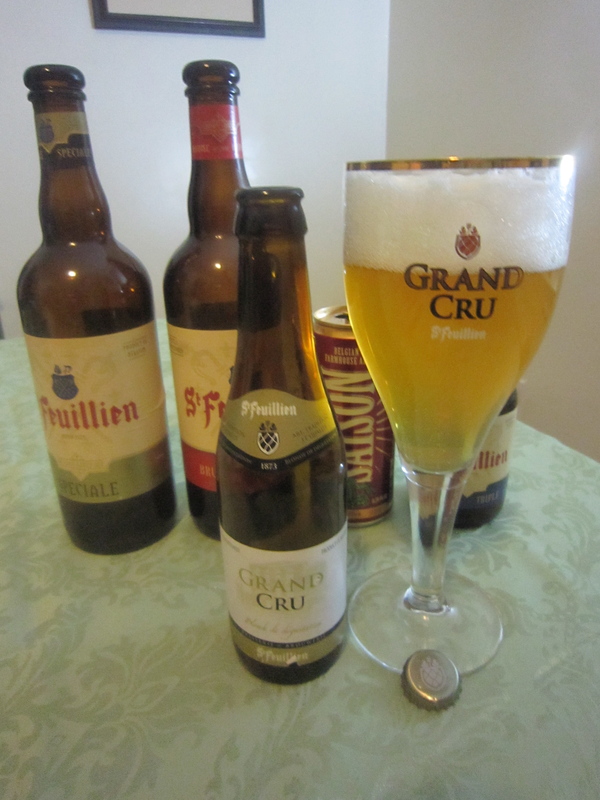 Grand Cru differs from other beers in the range by its absence of spices. Its full, white head is light and frothy, and when poured it creates a subtle lace effect. The very pale colour of Grand Cru lends clarity and brilliance to its body. Grand Cru’s delicate nose is a veritable cascade of hoppy aromas with hints of fruitiness coupled with subtlety and sheer richness. When savoured, the first sip is light and intriguing. The next impression is one of a slight bitterness full of captivating nuances. When it hits the palate, Grand Cru creates a lingering moment of hoppiness, rounded off by an intense yet pleasant bitterness. This entry was posted in Uncategorized and tagged Artisanal Imports, Brasserie St. Feuillien, Grand Cru, St Feuillien Brewery. Bookmark the permalink.